Sanskrit is the life line of the spiritual consciousness of India. It is not merely a language. It is the life style of India. 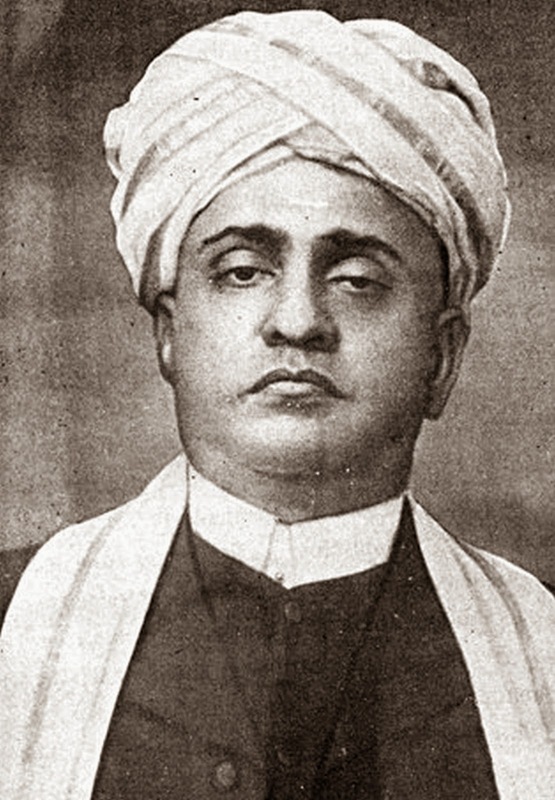 In 1906, when several schools of philosophy such as Purva Mimamsa were dying out, prompted the lawyer, V Krishnaswami Iyer to set up in Mylapore, Madras, the Sanskrit College dedicated for Sanskrit Study and Research with an objective of restoring and rejuvenating the indigenous tradition and culture. 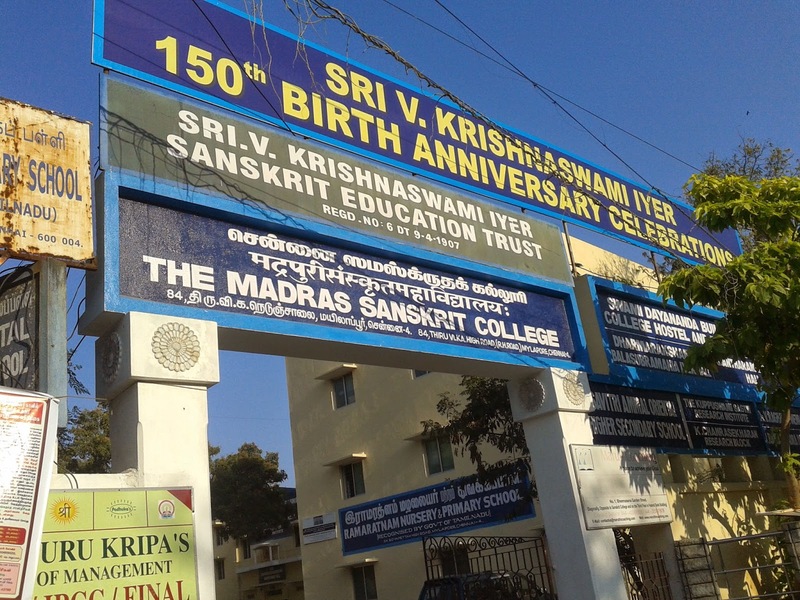 As a result of the sustained and untiring efforts of V Krishnaswami Iyer, Former Judge of Madras High Court and Member of the Executive Council of Government of Madras and a philanthropist and leading member of the Bar, the the Sanskrit College was established in 1906 in a rented premises in Mylapore, Madras with around 25 students. 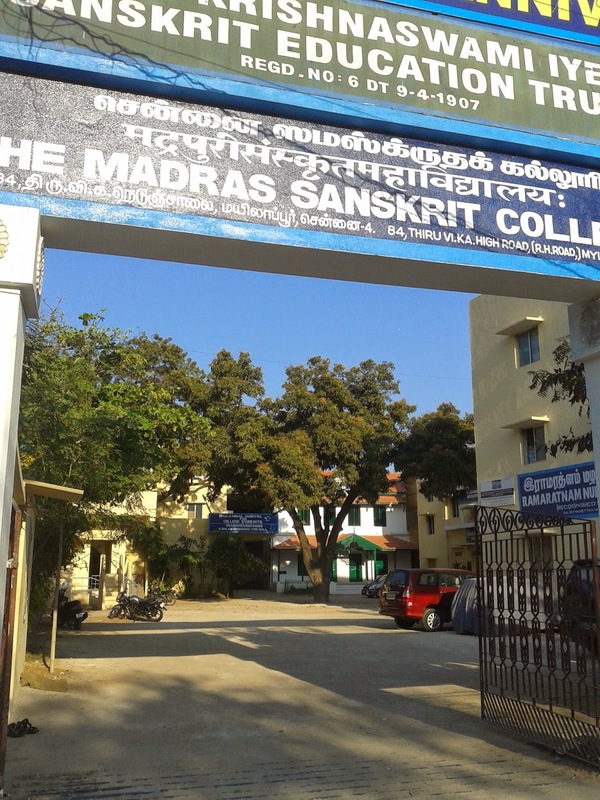 As there was no college to impart Sanskrit teaching, many students from north India and outside the country came to Madras. 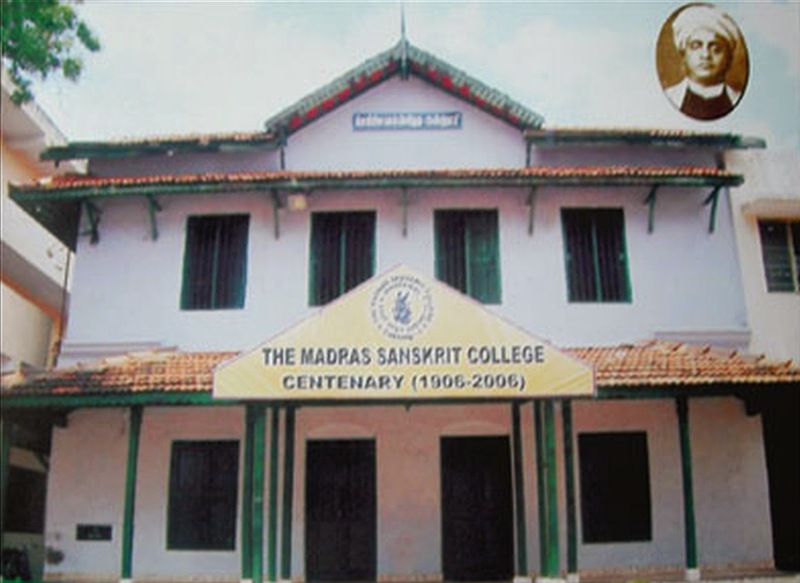 In 1910 the college occupied the present premises built by the founder. At the initial days college admitted students for the various courses and also offered free education as well as free boarding and lodging facilities. The college has a good infrastructure with highly accomplished faculty including 14 assistant professors and three research professors to teach sastras such as Mimamsa, Vedanta, Sahitya, Jyotisha, Vyakarana and Nyaya. In addition the team of faculties to teach Hindi, English and Computer Science. The books collection includes over 50,000 books (many of them are rare book collection), periodicals and around 100 ancient and rare palm leaf manuscript in Sanskrit. This college and research institute was affiliated to the University of Madras and approved by the Directorate of Collegiate Education, Govt. of Tamil Nadu under Grant-in-Aid. It also receives aid from Ministry of Human Resources Development, Department of Education, Govt. of India, New Delhi, under the Adarsha Mahavidyalaya Scheme from the year 1977. It is now recognized as an "Institute of National Importance." Prak-Siromani: Two year foundation programme. Recognized as equivalent of Higher Secondary Class 11 and 12 standards. Eligibility: Students passed SSLC exam or the Veda Adhyayana (Samhita), or Aagama studies from any school. Siromani Madhyama — BA (Three year programme). Eligibility - Prak-Siromani or Higher Secondary School with Sanskrit background. Mandatory subjects: Computer Science, English and Hindi included to meet the contemporary needs and to develop the communication skills of students.